DscoopX, the largest annual conference for HP Graphic Arts users in North America, will host the first ever DscoopX Packaging Renaissance. This unique opportunity for attendees to learn about the growth of packaging in the digital printing arena kicks off Thursday, March 5 at the Gaylord National Resort & Convention Center in Washington, DC. 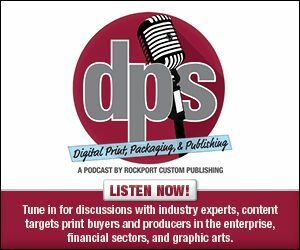 February 6, 2015 – Chicago– DscoopX, the largest annual conference for HP Graphic Arts users in North America, will host the first ever DscoopX Packaging Renaissance. This unique opportunity for attendees to learn about the growth of packaging in the digital printing arena kicks off Thursday, March 5 at the Gaylord National Resort & Convention Center in Washington, DC. The tenth anniversary conference of HP Graphic Arts users is for the first time opening with an exclusive Packaging Brand Event aimed at helping Dscoop members’ customers and prospects learn about the tremendous opportunities that exist with HP Indigo Digital Printing. Only a limited amount of seats are available for this event, and it will sell out, so those interested should contact Dscoop headquarters at 312.527.6707 to register. Then, on March 6 and 7, there will be educational sessions for attendees focused on creating new digital print possibilities. The DscoopX Packaging Renaissance will enable attendees to think beyond the obvious to create market-leading innovations for their customers, stay ahead of the competition, and become a market leader. It will provide them with the tools necessary for business growth in folding carton, flexible packaging, labels, corrugated packaging and shrink sleeves. Make Ready? Really? Let it Go. It’s an Indigo! I Just Bought an HP Indigo WS6000 Series Press. Now What Do I Do? What Level G7 Printer Are You? In addition, a special “Ask the Experts” session will feature industry experts to help answer your specific questions about real life challenges. Registration for DscoopX and the Packaging Renaissance is now open at DscoopX.org.